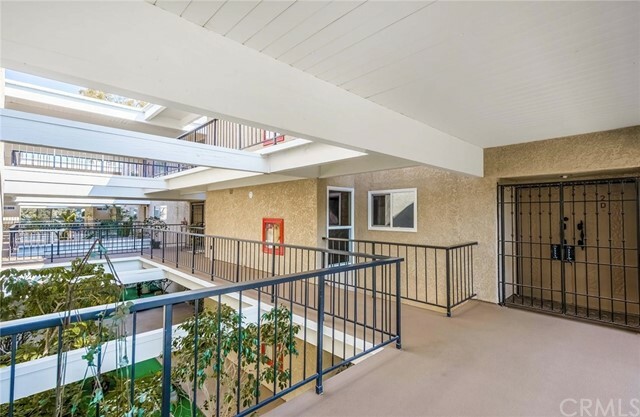 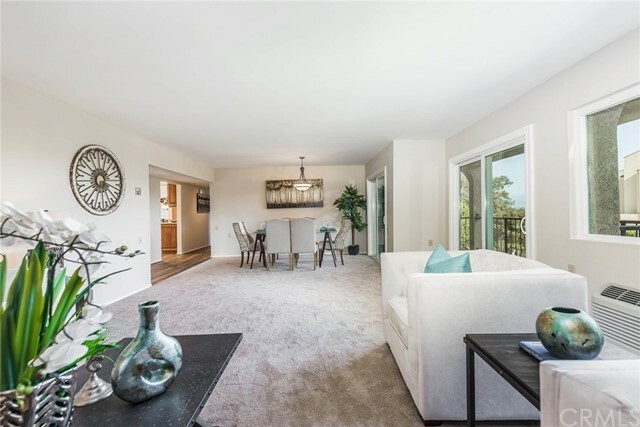 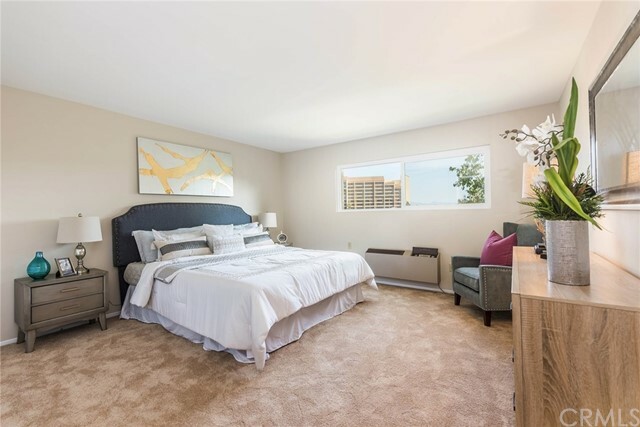 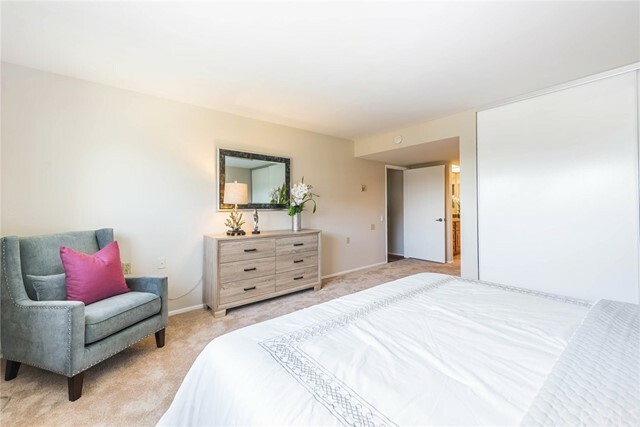 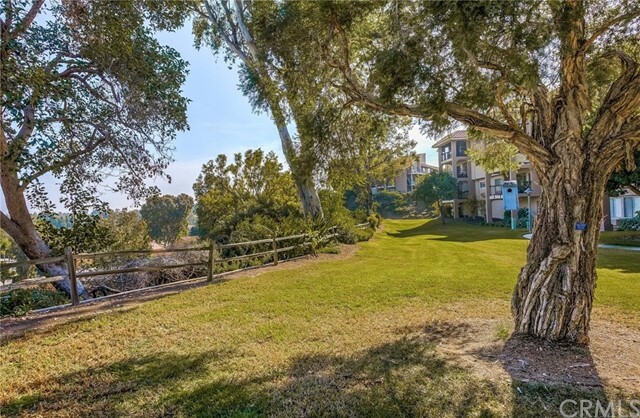 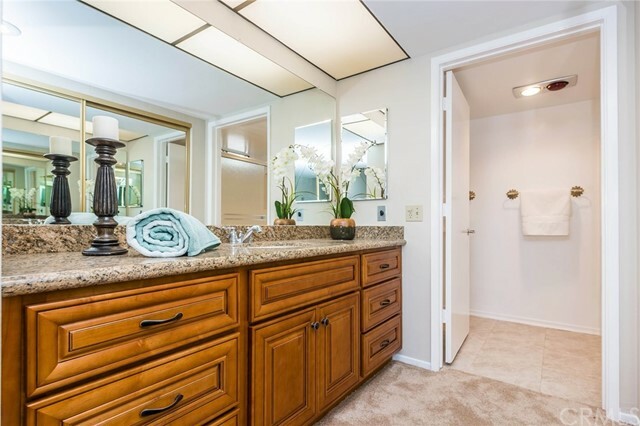 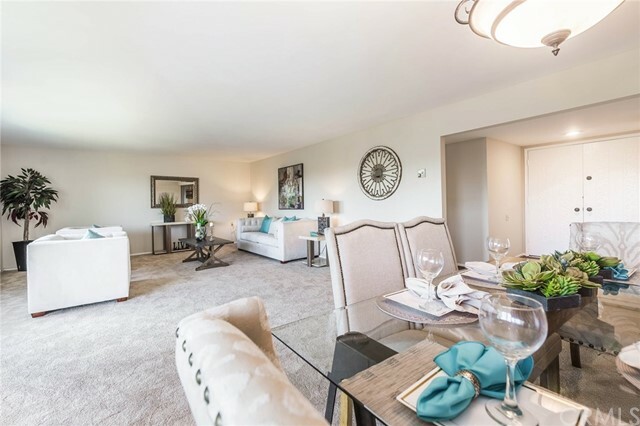 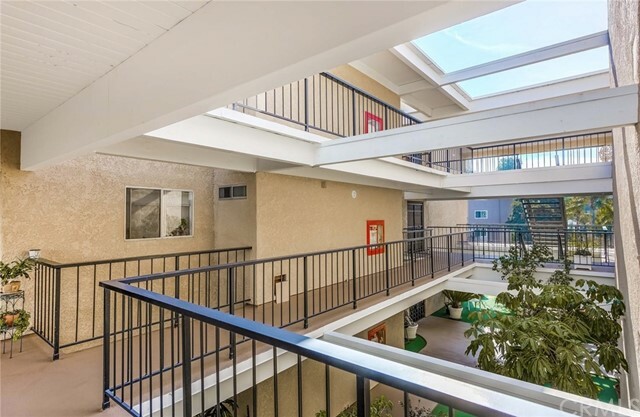 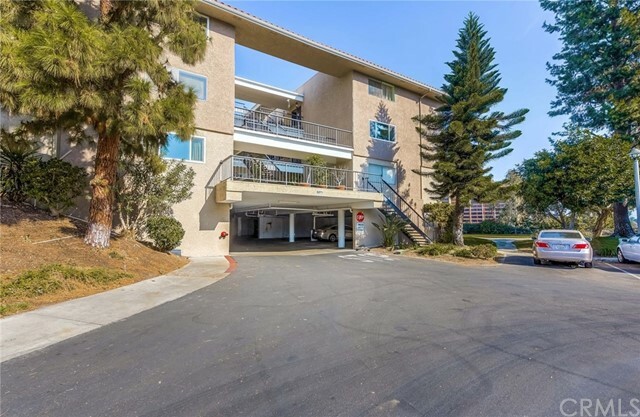 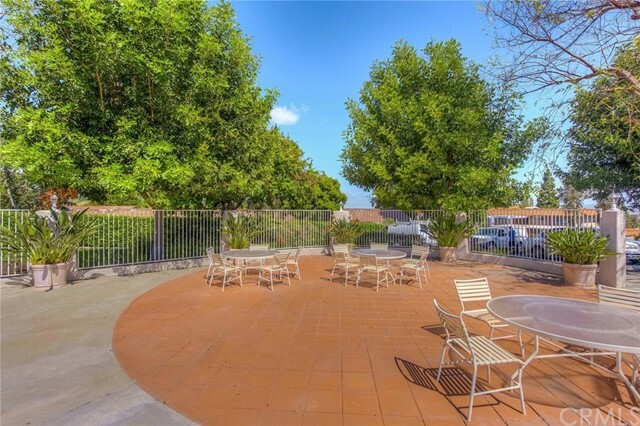 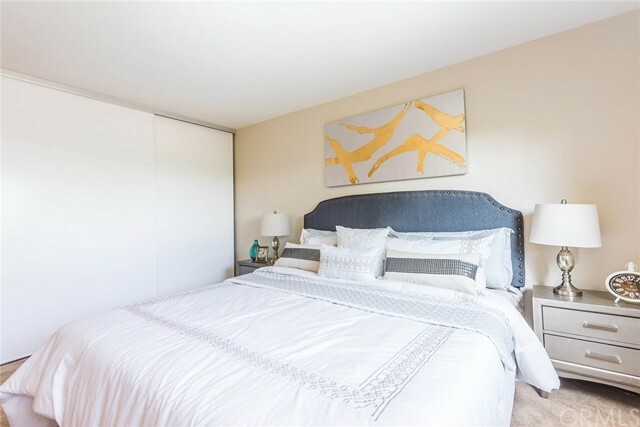 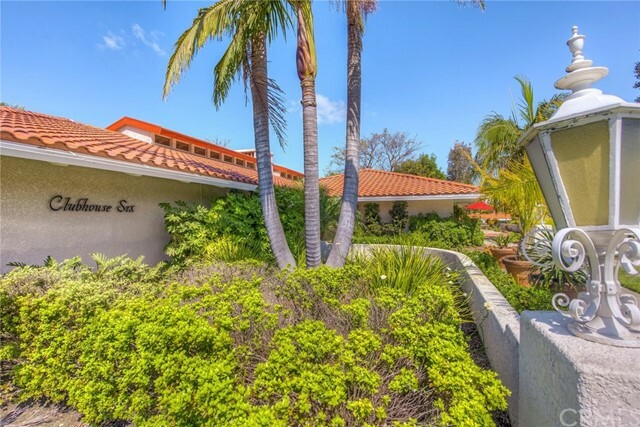 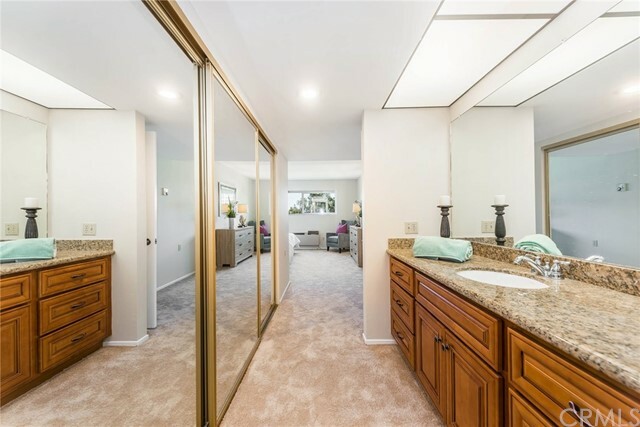 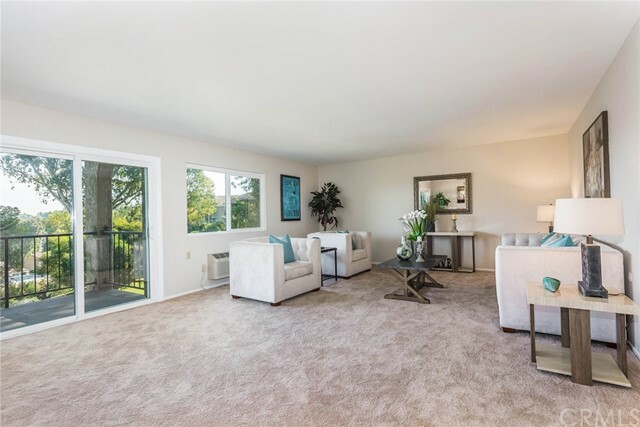 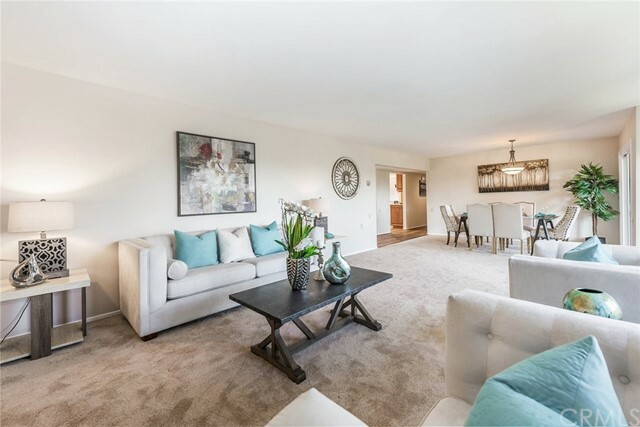 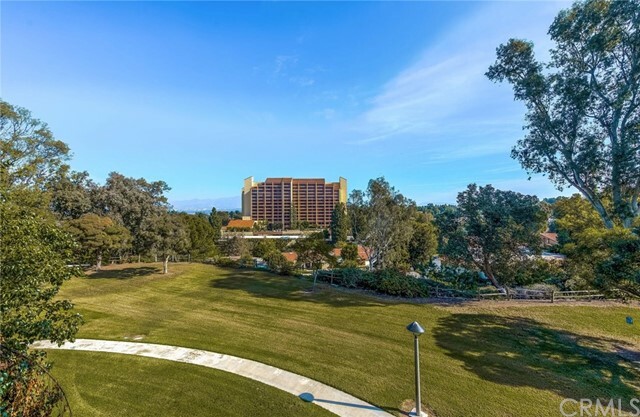 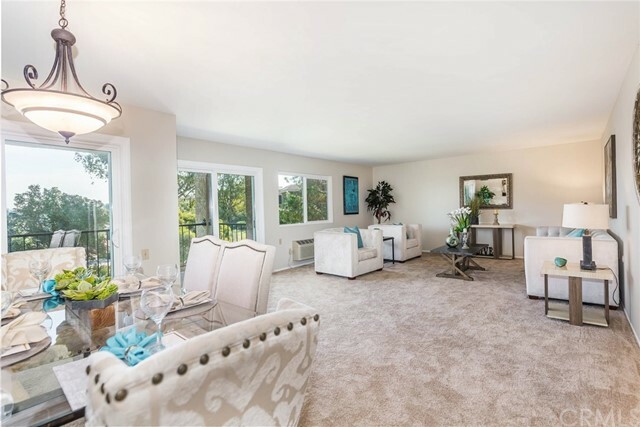 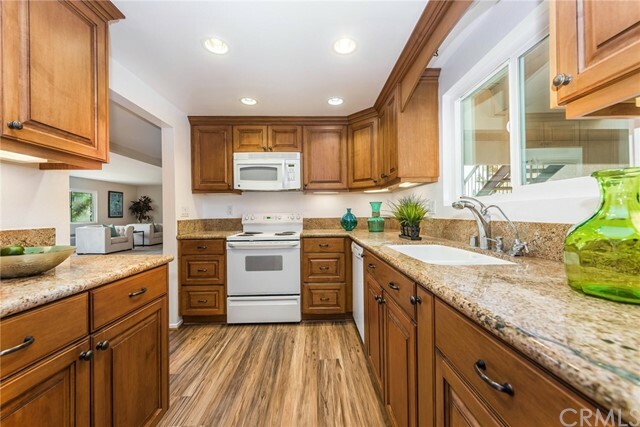 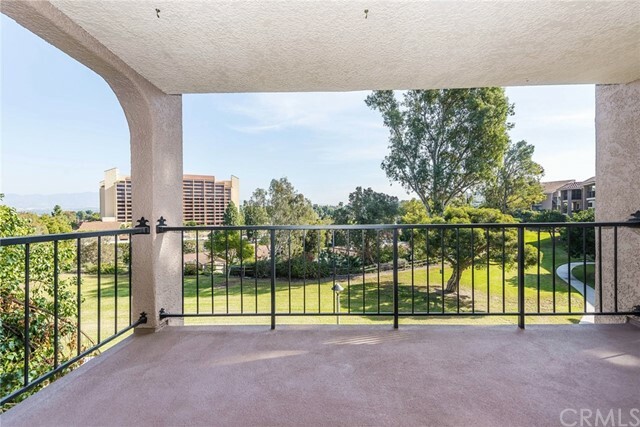 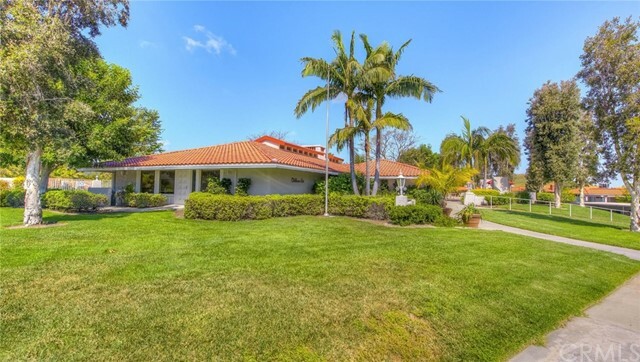 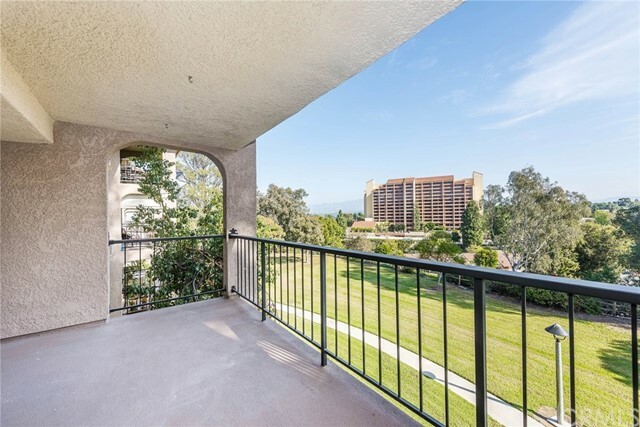 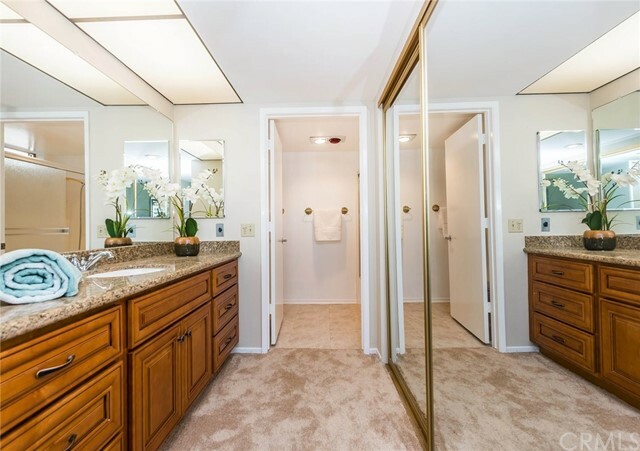 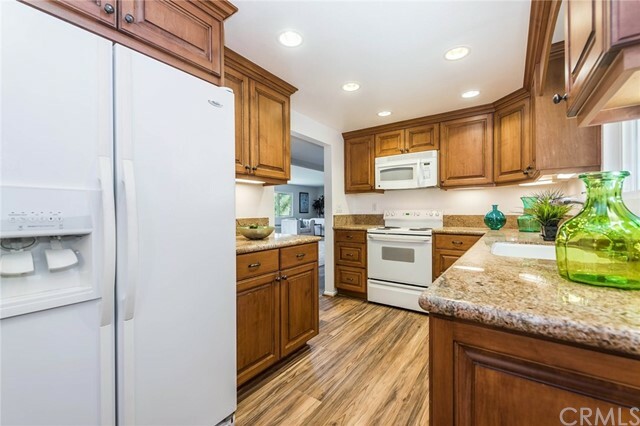 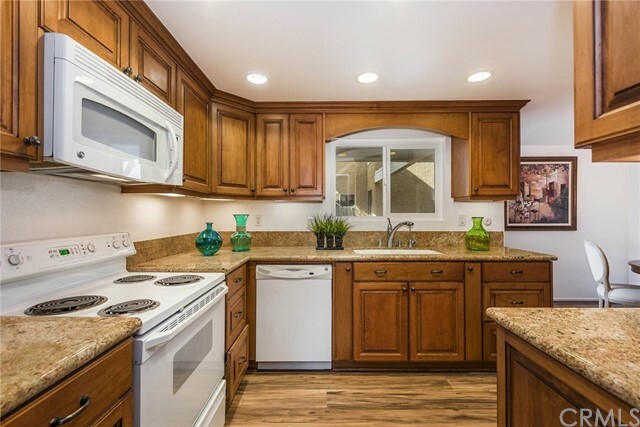 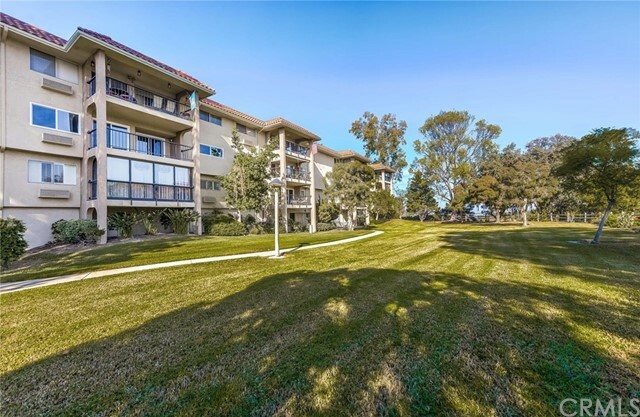 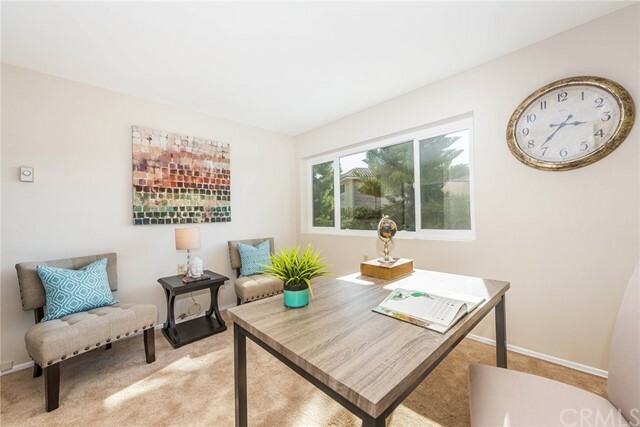 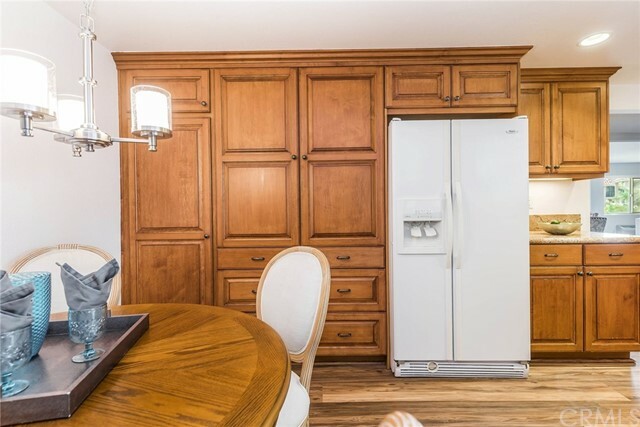 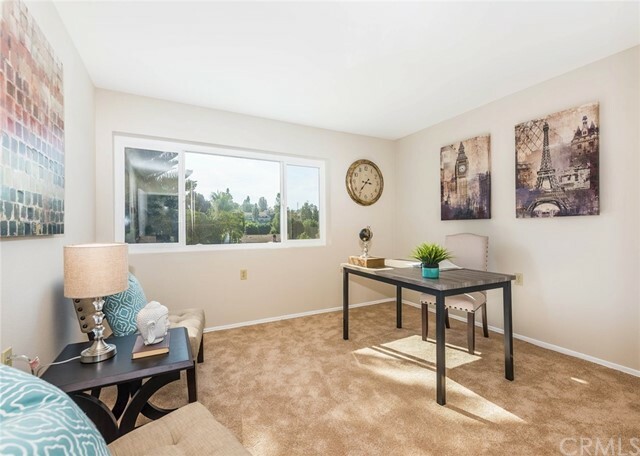 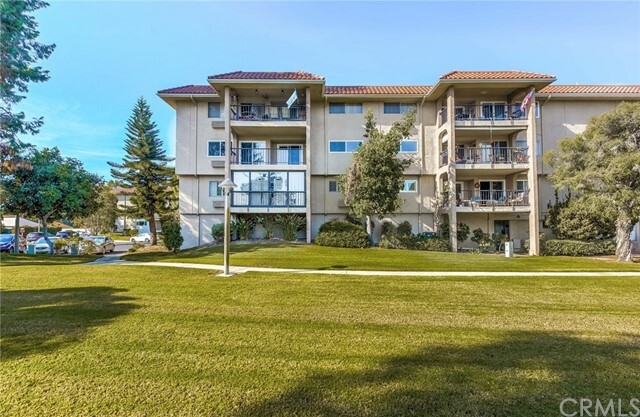 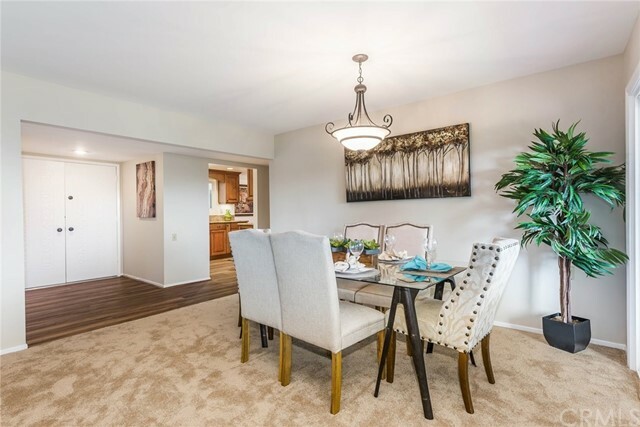 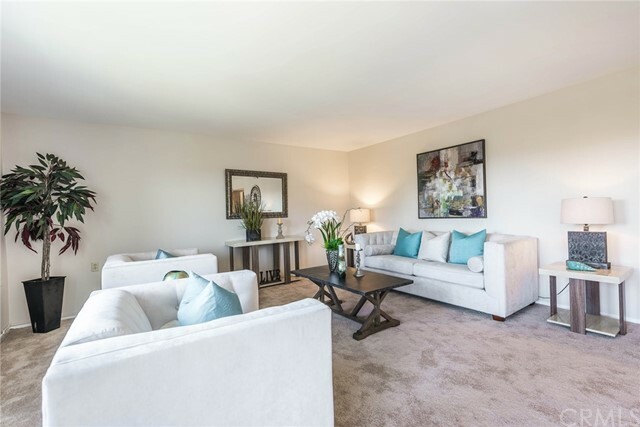 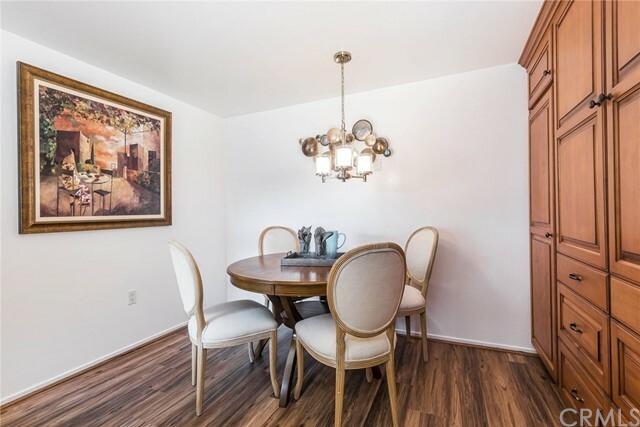 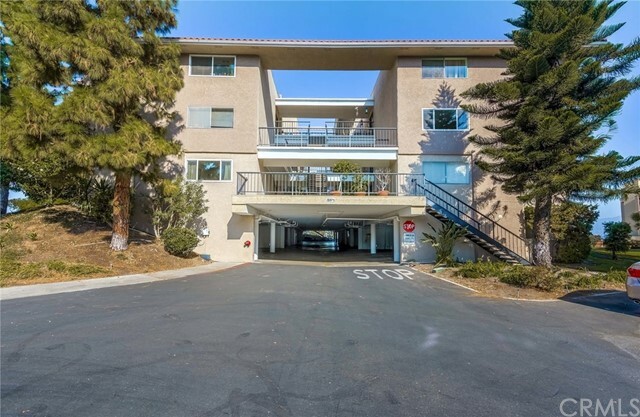 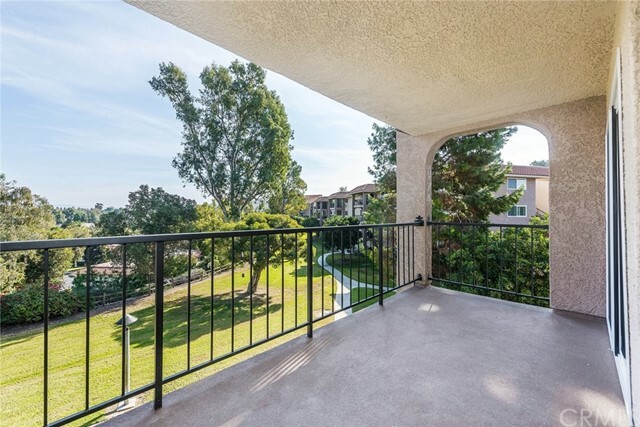 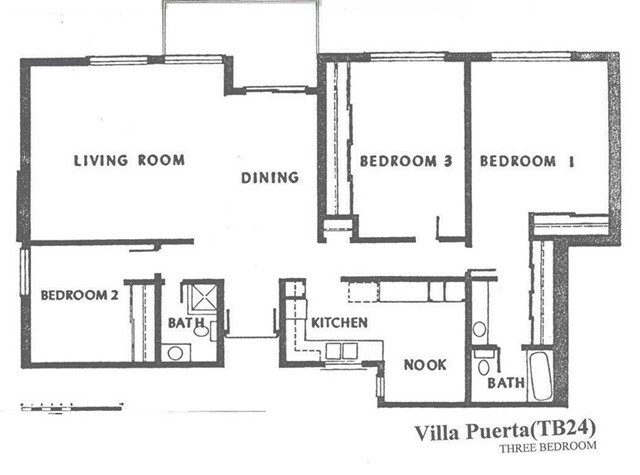 You will love the PANORAMIC VIEWS from this UPGRADED, spacious 3 bedroom, 2 bath, end unit Villa Puerta 3 model, located in Laguna Woods Village, a senior 55+ community. 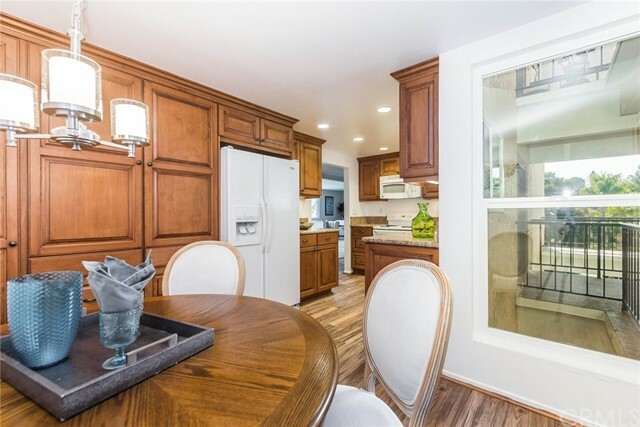 When you enter you will notice how LIGHT & BRIGHT the recently painted home is, with its NEWER WINDOWS AND DOORS. 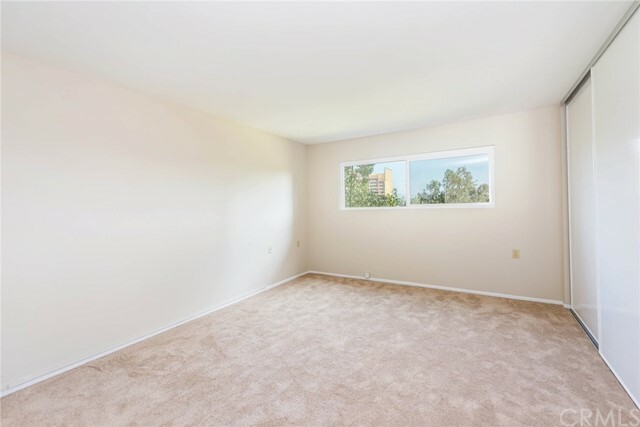 Popcorn ceilings have been removed and NEW CARPET has been installed. 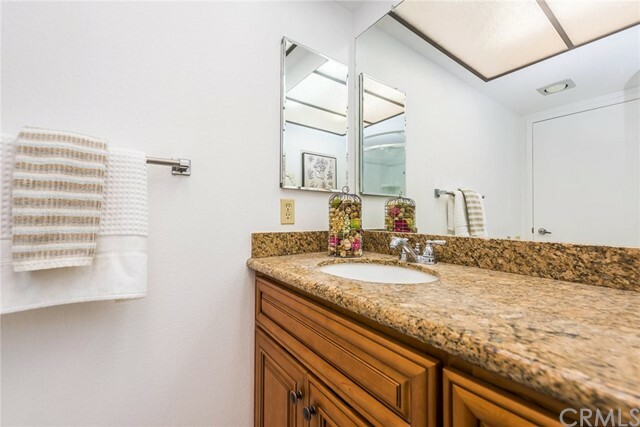 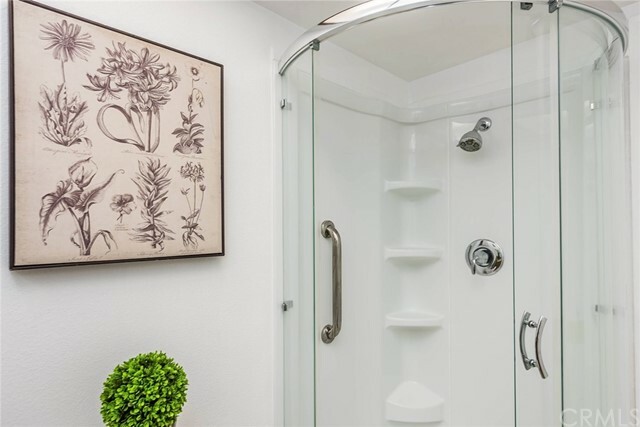 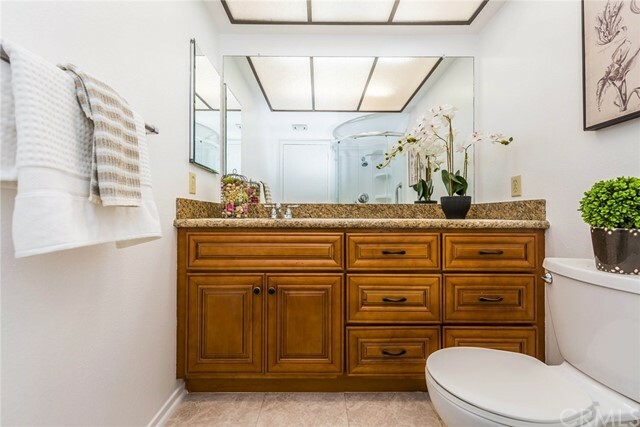 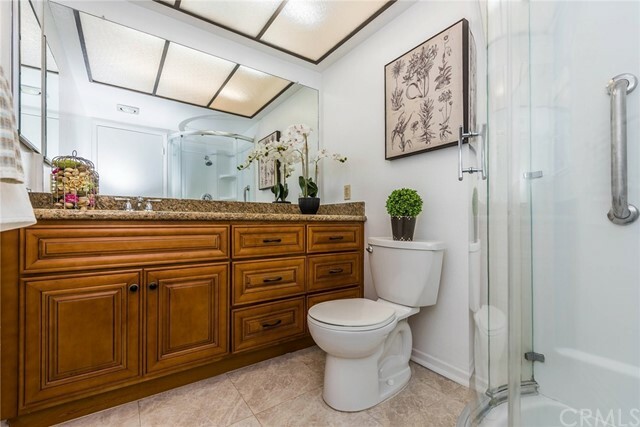 Both bathrooms have recently been upgraded with GRANITE counter-tops and warm mahogany-toned cabinets. 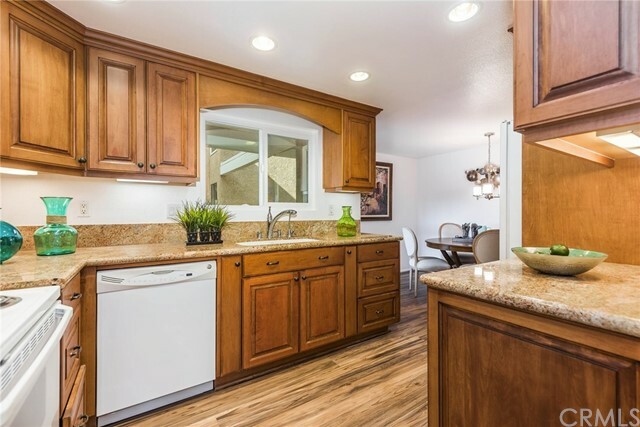 The gourmet kitchen boasts GRANITE COUNTER TOPS, custom cabinets, recessed lighting, and a cozy breakfast nook with updated light fixture. 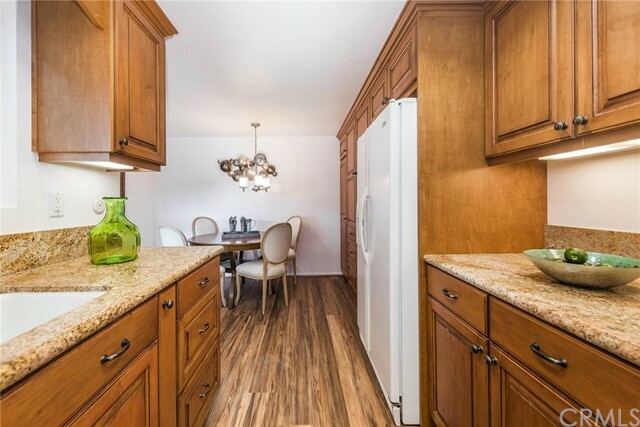 The ENGINEERED WOOD PLANK FLOORING in the kitchen continues through the hallway and entry. 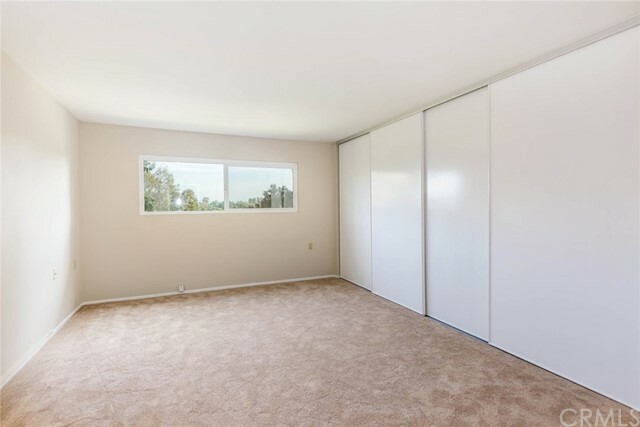 The SPACIOUS MASTER SUITE has mirrored closet doors. 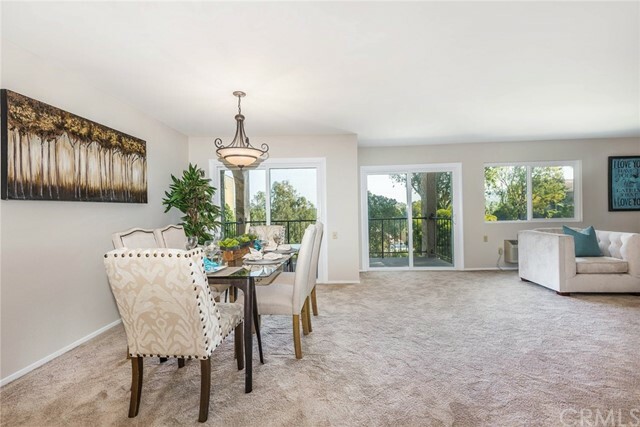 The living and dining rooms have numerous windows allowing one to ENJOY THE VIEW and a large balcony to enjoy quiet relaxing moments or share with friends and family when entertaining. 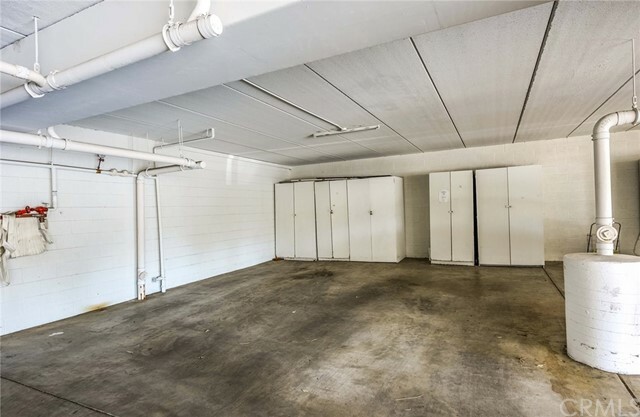 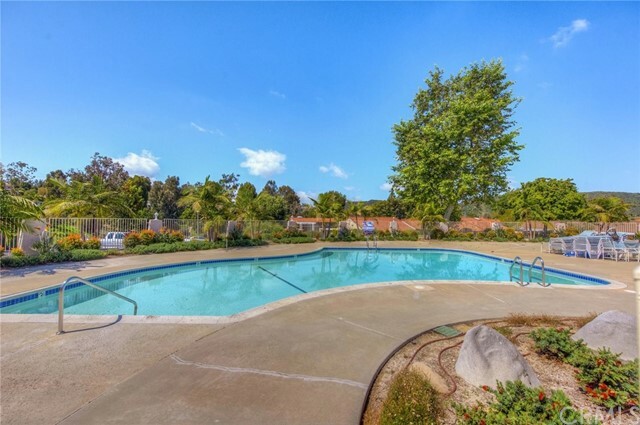 The community offers 7 club houses, 5 swimming pools, golf courses, tennis courts, 2 fitness centers, horse stables, theater, library, craft workshops, social club activities and so much more. 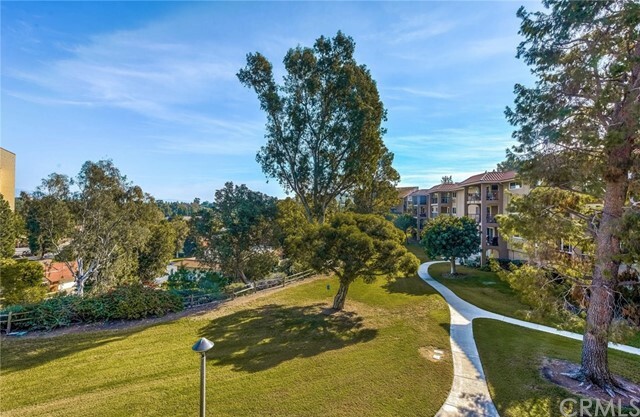 As a resident, you will be welcome to take advantage of the free bus service which serves Laguna Woods. 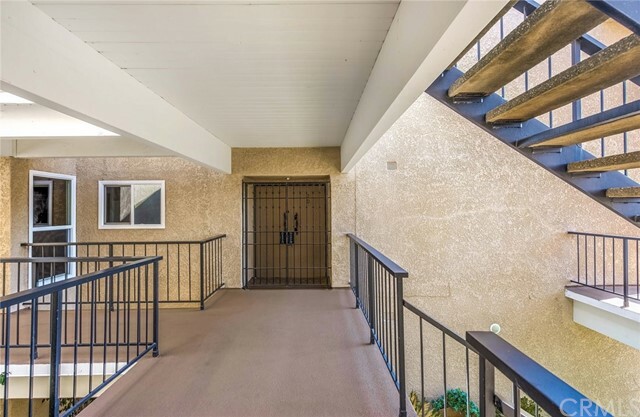 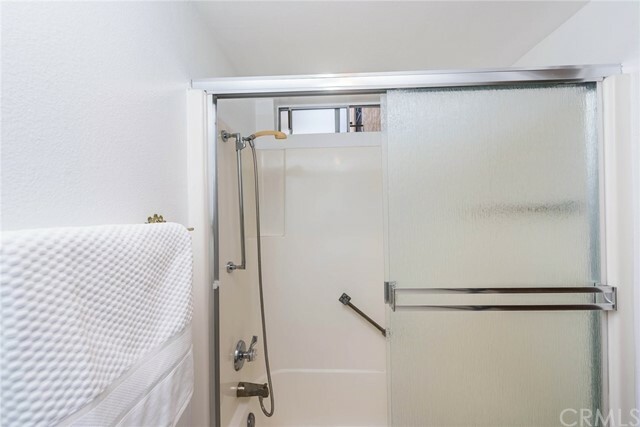 The home is on the second floor of an elevator building with subterranean parking, and is move-in ready.